Henry and Charles Shayer 1825-1894 and 1826-1914 were both pupils of their father, William Shayer Snr. They lived with their father until his death in 1879 they where greatly influenced by his painting. 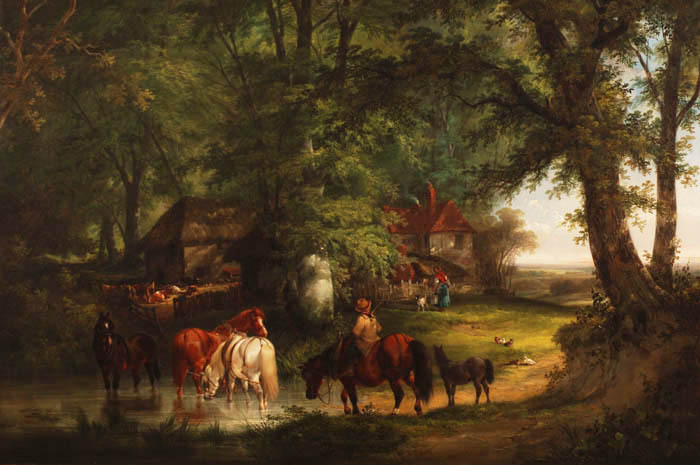 They painted landscapes and sporting scenes, working jointly and also in collaboration with their father, he would paint the landscapes and the sons would paint the animals.